Stay hydrated in style with the S'well 17oz Sandstone water bottle. 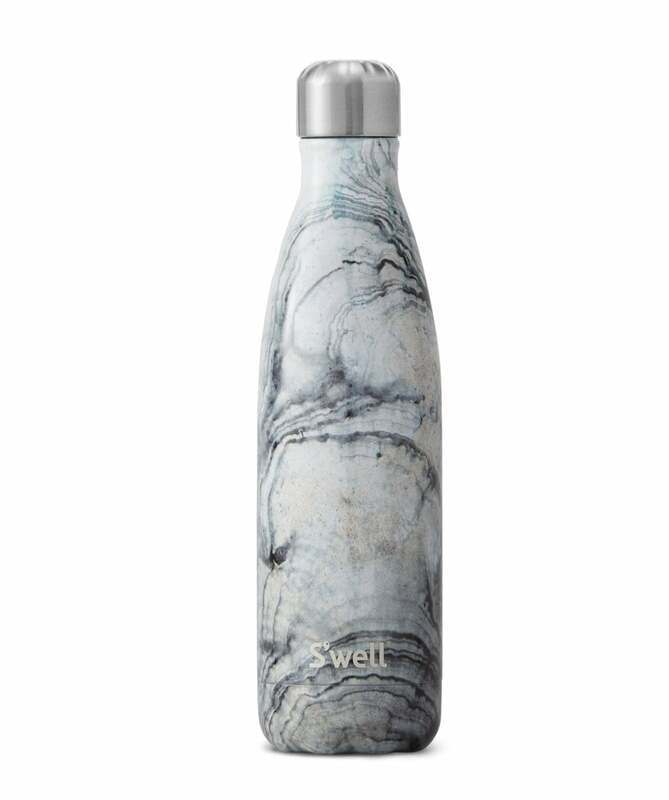 Adorned with a beautiful sandstone print that captures the ever-changing landscape, this unique bottle features a vacuum seal and screw top for ease of use. Expertly crafted from stainless steel with a double walled insulated construction, this thermos bottle promises to keep your hot drinks hot for twelve hours and cold drinks cold for twenty four hours.